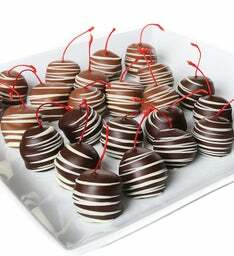 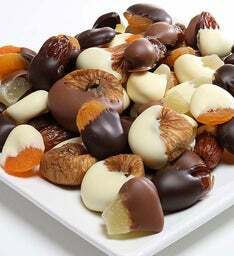 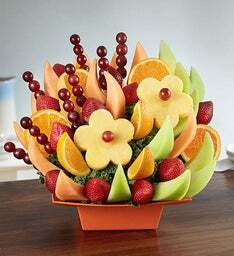 Express your deepest sympathies with an assortment of fresh fruit. 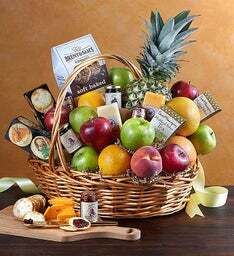 From handcrafted arrangements to baskets filled with nourishing apples, grapes, oranges and more, find a gift to let them know they're in your thoughts and prayers during this difficult time. 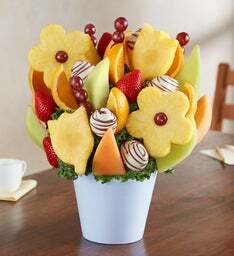 During times of bereavement, let loved ones know that they are in your thoughts with a sympathy fruit arrangement. 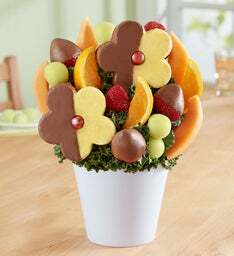 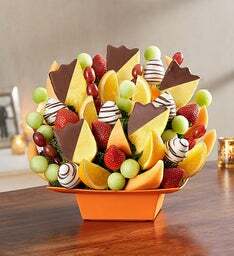 Filled with fresh fruit and chocolate-covered treats, a sympathy fruit gift basket is a thoughtful and encouraging alternative to sending funeral flower arrangements. 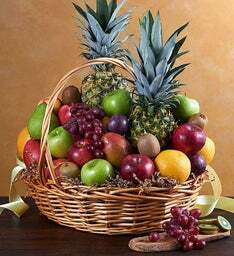 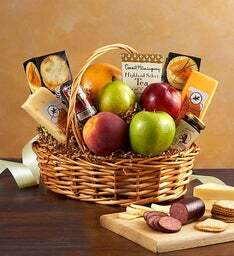 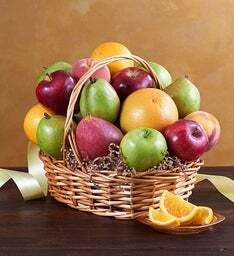 Whether sending fruit arrangements directly to the home or office, a hand-crafted sympathy fruit basket is sure to bring comfort during a difficult time. 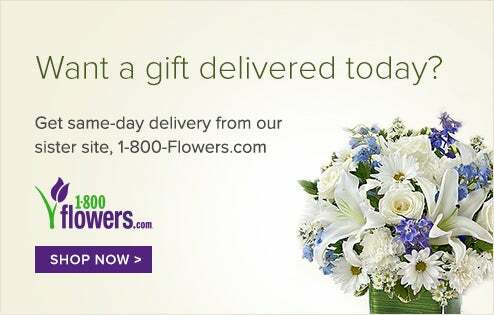 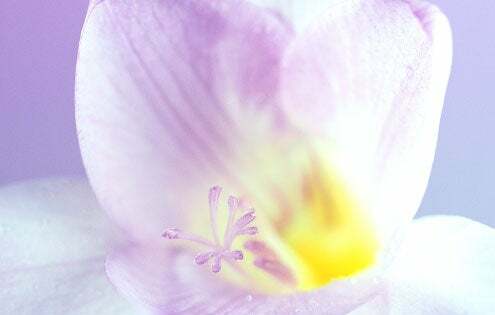 If you need assistance in selecting the right sympathy arrangement for your friends and family, contact our sympathy specialists at our Customer Support center. 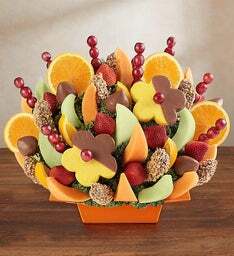 Selecting a sympathy gift can oftentimes be difficult; however, the gesture is always appreciated. 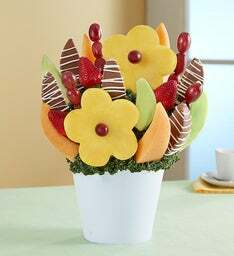 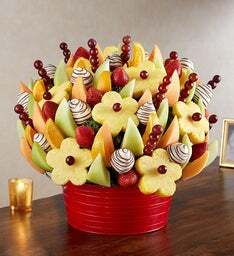 Trust Fruit Bouquets to deliver sympathy gifts with attention and care. 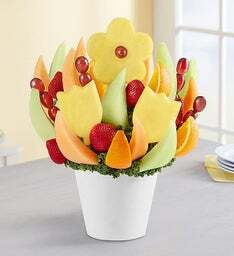 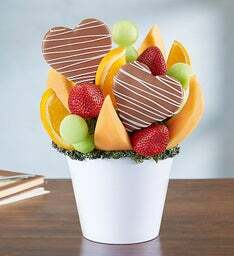 With unique designs like the Bouquet of Fruits® collection, full of strawberries, melons, oranges, pineapples and grapes, rest-assured that your loved ones will receive a sympathy fruit gift basket that will express your sincerest sentiments perfectly.